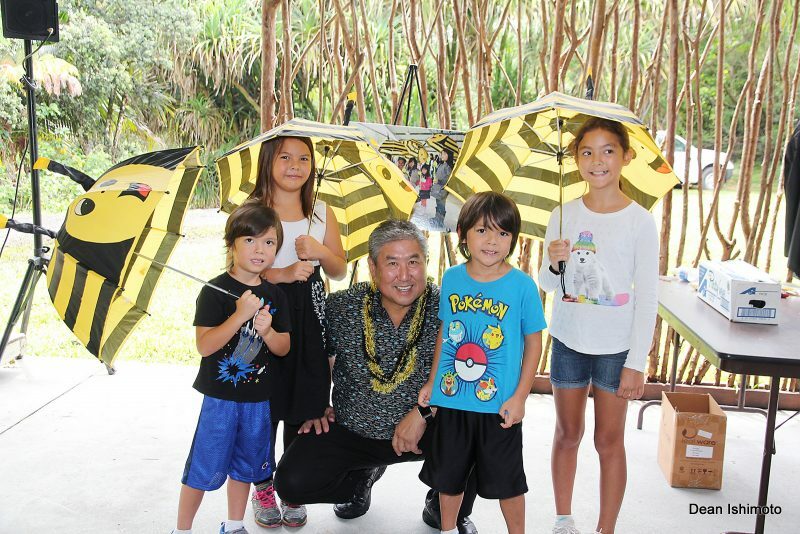 “Adopt–a–Beehive with Alan Wong” program recognizes students, donors. (Left to right) Alan Wong, Lorna Tsutsumi, Daniel Lunnom, David Russell, and Batina Grossett. At right is Bruce Mathews, dean of UH Hilo College of Agriculture, Forestry and Natural Resource Management. 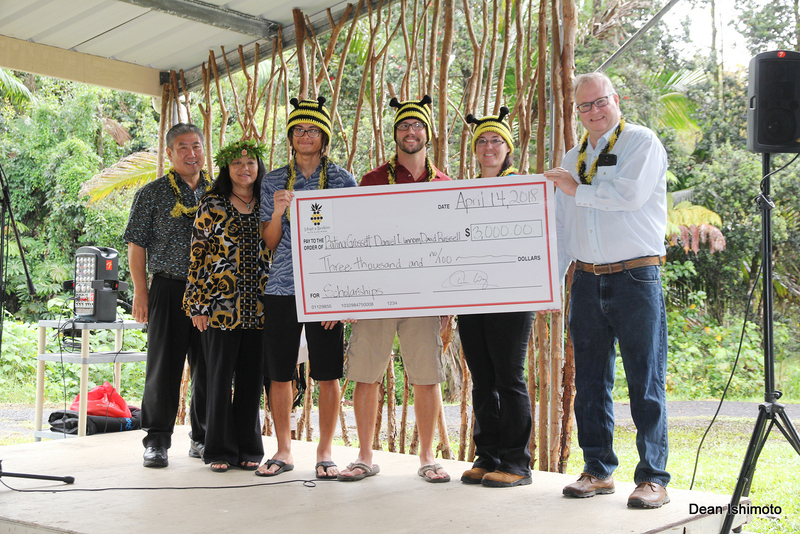 Now in its 7th year, the Adopt-A-Beehive with Alan Wong program has awarded over $20,000 in scholarships to beekeeping students at the University of Hawai‘i at Hilo. 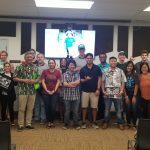 This year’s recipients are Daniel Lunnom, Batina Grossett and David Russell, who each received a $1,000 scholarship on April 14, 2018, at the UH Hilo Agricultural Farm Laboratory in Pana‘ewa. 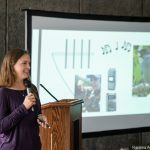 “The program is unique because it allows the community to engage in student learning,” says Lorna Tsutsumi, professor of entomology at the UH Hilo College of Agriculture, Forestry and Natural Resource Management and program lead of the Adopt-A- Beehive with Alan Wong program. 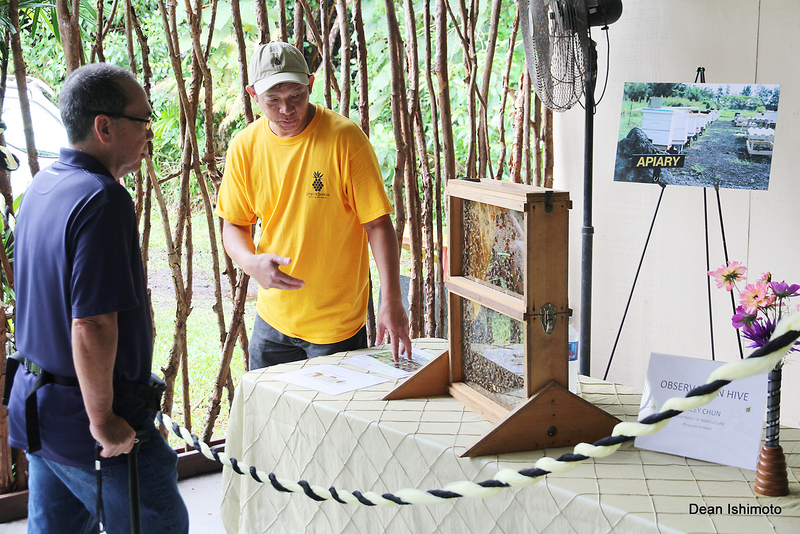 Hawaii Department of Agriculture Stacey Chun answers questions about his observation hive. 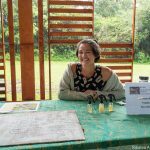 UH Hilo agricultural students display their semester projects. 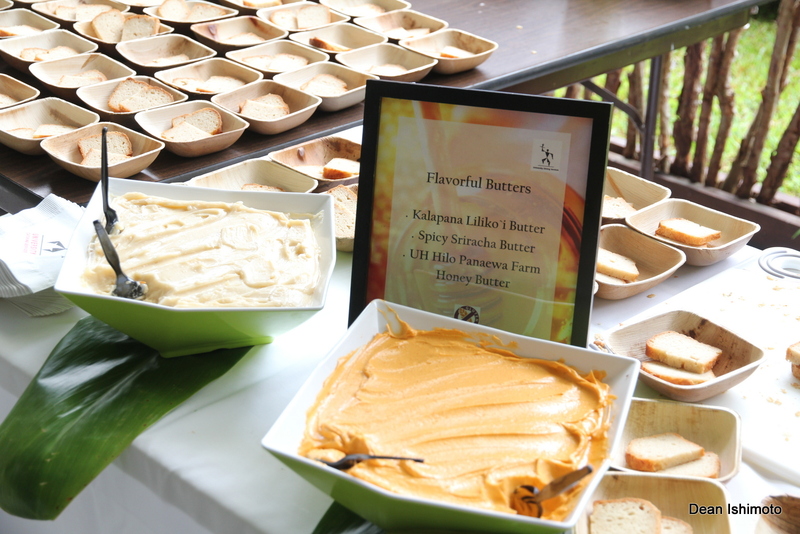 Sodexo’s assortment of butters and vegan bread made with the Agricultural Farm honey. 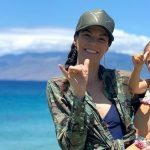 The good work of the program is spreading beyond campus and the local community. 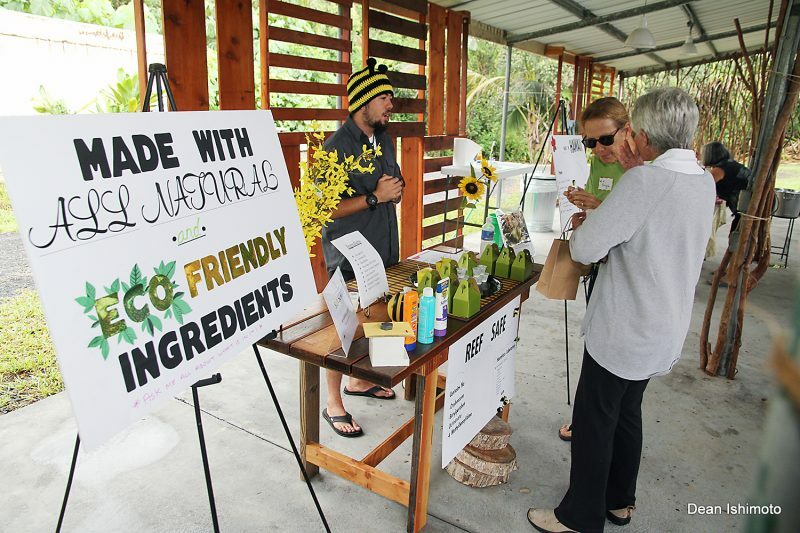 This June, the program will be showcased in Washington D. C. for Congresswoman Maize Hirono’s “Hawai‘i on the Hill.” And most recently, Yamada Bee Company from Japan visited the bees on the farm to see “Hawaiian” bees and document their experience. The first of several parts of their visit can be seen in the video below. Chef Alan Wong shares a moment with some fans. 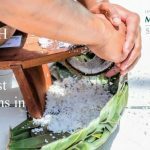 Originally published in the May issue of the Ka Lono Hanakahi.